The tributes, accolades and flowers for Michael Peterson’s much celebrated life continue to pour in to the Peterson Tweed Heads home from all over the surfing world and rightly so. Known as MP, Reg or the Mad Monk, Michael has a certain mystic almost messiah presence that kept most people guessing of who he really was. 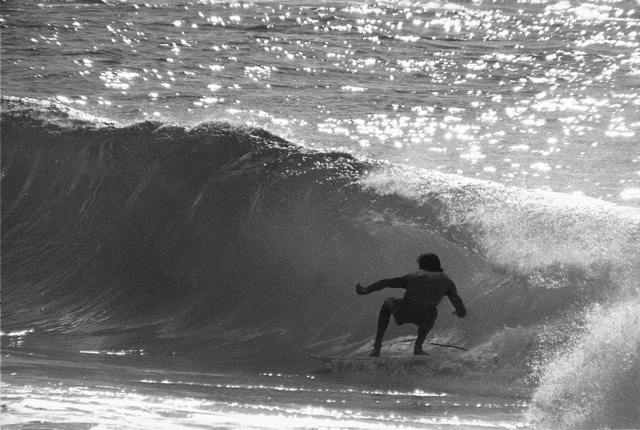 Undoubtedly he was one of the best surfers to evolve from the Coolangatta era of the golden seventies. MP was gifted athlete; he was a super swimmer and super nipper before he entered surf comps as well as proficient with his hands! Together with younger brother Tommy they would build model aeroplanes together which would later develop into board making skills. 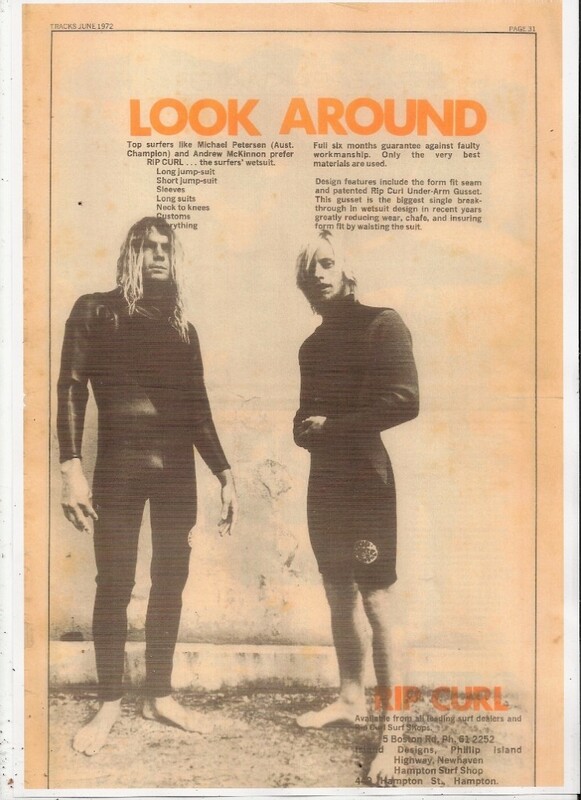 Tweed Heads first surfing pioneer and surfboard manufacturer Joe Larkin was instrumental in helping Michael to shape surfboards with his number one shaper the late Brian “Furry” Austin. The Miles Street Factory was a stone’s throw away from Kirra Point where Michael would dominate with his intimate knowledge of tuberiding. Both MP and fellow Coolangatta friend and rival PT Peter Townend were Joe’s factory apprentices and the competition between both went from the factory to the Point to see who could be better. It was a healthy rivalry nurtured by Joe who on one particular surf trip had to break up an argument between the two when MP managed to rub vasoline over PT’s board. There are many stories about those colourful days at Joe Larkin’s which will no doubt come to life at Joe’s night at the Surf World Surf Museum, Currumbin on Wednesday night 4th April at 6pm prior to Michael service on Thursday 5th April 11.30am at the Tweed Crematorium. I have a lot of great memories of growing up and competing with Michael and his younger brother Tommy. We all ended up at Miami High School where MP would be as cagey as ever darting in and around the buildings without saying much while Tommy would let me know what the latest was with his fast improving super talented surfing brother which he always warmly referred to as Mick. Tommy knew Michael better than anyone and was his sounding board on all matters. Initially we were bitter rivals I was from the toffy Northern Beaches and they were from the Cooly hood both hurling abuse at me we I came down to surf at Greenmout. Firstly I became good friends with Tommy and then when I didn’t present myself as a threat competively to Michael we all got on famously as well as Joan Peterson who was like a Mum to all of us. One thing Michael did was to shun the limelight although he loved watching movies of himself analzing his style and how to improve the advanced technique that he inherited from Nat Young his mentor. Michael’s room had wall to wall posters of Nat. In 1971 he started travelling down to Lennox Head revelling in the pristine winter south swells with biting southwest winds. Nat was still living in the area on a farm as depicted in the Morning of the Earth movie. Both were the stars of MOTE together with David Trelor, Chris Brock, Stephen Cooney and Rusty Miller. By 1972 MP won the Qld State titles for the second year in a row and went on to Sydney to win his first of two National titles. I shared a room with MP and PT at the notorious San Diego World titles, may as well have been called the World Party titles, it was too much for PT who checked into another room and Rabbit gladly took his place! Just before we all joined the Australian Team for the 1972 San Diego World titles, MP and I went to Burleigh Point one day during the week. As it turned out an A crew of local surfers were there, Peter Drouyn, Keith Paul, Richard Harvey etc. etc. and then the boys from Byron turned up, Nat Young, Russell Hughes, Bill Monie, Rusty Miller and Victorian Wayne Lynch who was on the run from the draft. They were all very happy to see Michael the new Aussie Champ who felt a bit in awe of the senior elders of the tribe. I said, “Just go out and show them who is the new King, Michael!” and with that squinted cheeky MP grin, he unleased without a leash, an awesome display of roundhouse cutbacks disappearing in the rebound, punching out for a hard off the bottom turn turning vertical for a splintering sideway hack with head turned, it was a performance that sent Nat and the troops home in a hurry. I knew then that Michael was better than his heir apparent, in fact the best in the World and of course the following year began his dominance in no uncertain terms up until his last emphatic win at the Burleigh Stubbies classic with the first man on man event invented by MP friend Peter Drouyn in 1977. What a surfing legacy he left behind and now his legendary status will be emblazed forever! Thanks MP! God Bless you mate! Mick Fanning, Darren Handley and Asher Pacey as well as close mate Rabbit Bartholomew took out their single fins at cracking Kirra on Thursday afternoon. Michaels club the Kirra Surfriders Club had a club round in his honour last Sunday at D-Bah wearing black arm bands. MP was a former Club champion, past President and Life Member of the KSC who will host the Wake at the Rainbow Bay Surf Club on Thursday from 1.30pm.Although Joan has stipulated that you must attend the service to be admitted into the Wake and has asked everyone to wear T’s, boardshorts, thongs or sandals! This week’s Rip Curl Pro at Bells Beach is now dedicated to Michael who won at Bells from 73, 74, and 75. The 40th annual Pa Bendal event on the Sunshine Coast over the Easter weekend will pay tributes throughout the competition that Michael won on the famous Xmas Tree design in 75. A Paddle Out at Kirra for MP will now be held on Saturday 14th of April meeting at Queen Elizabeth Park from 10am. RIP MP my good friend.